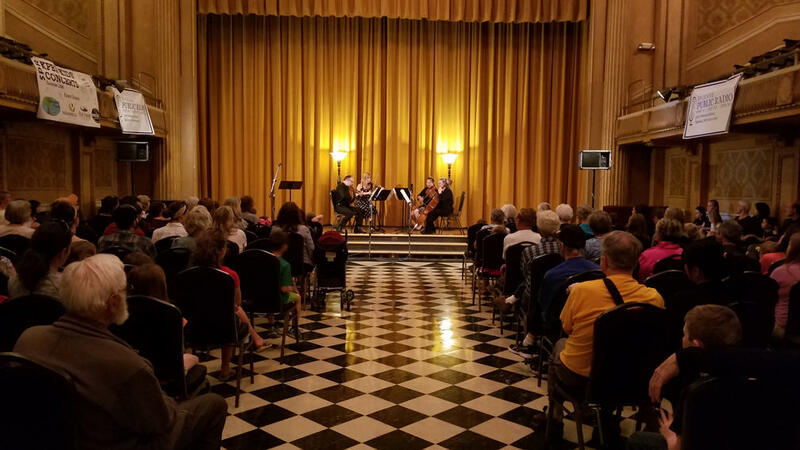 Take a journey with the Spokane String Quartet as they perform music from and inspired by musical traditions from around the world! This program of exciting music will celebrate the colorful diversity of classical music near and far. 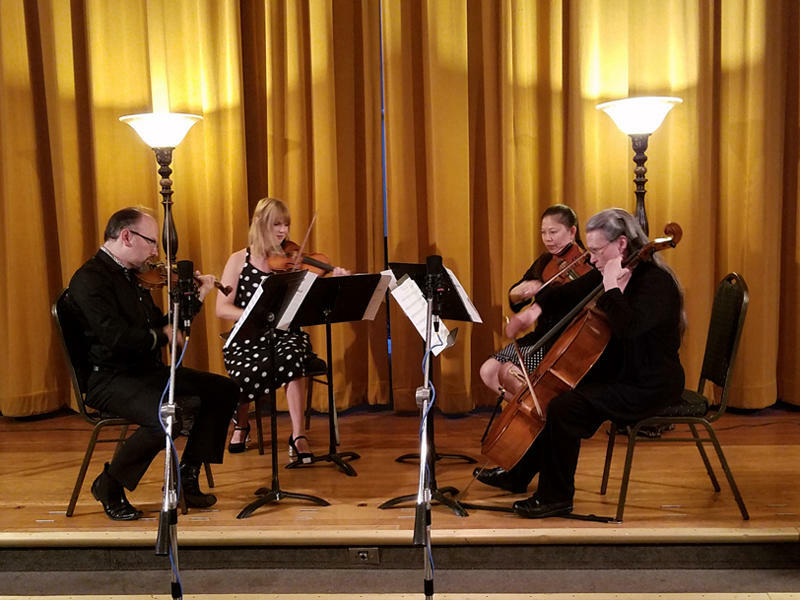 "We're privileged," says SPR's Jim Tevenan, "to have worked closely with the Spokane String Quartet for many years both broadcasting their performances on Concert of the Week and presenting music and conversation with them here in our studios. We're delighted that they will perform this special program for young listeners." 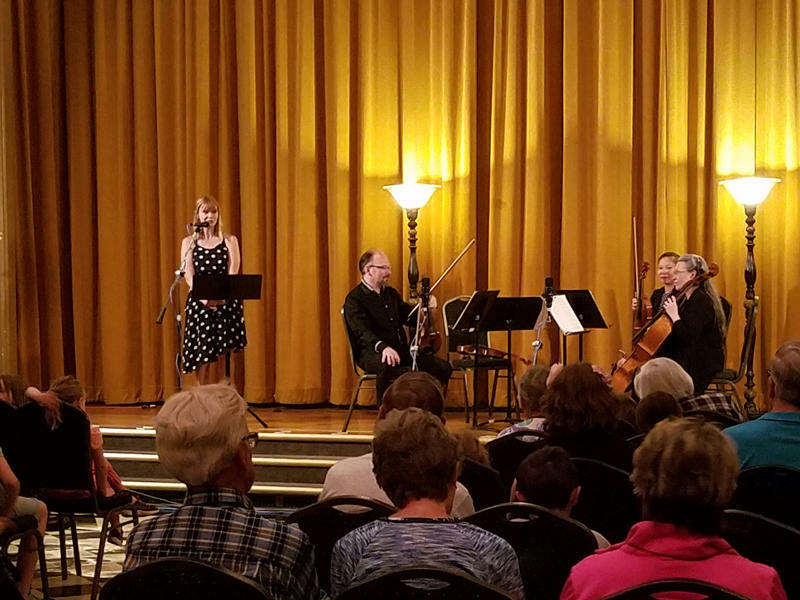 The Spokane String Quartet was founded in 1979 to bring live, professional chamber music performances to the Inland Northwest. For the past 38 years, it has been the only chamber ensemble to present a regular concert series. 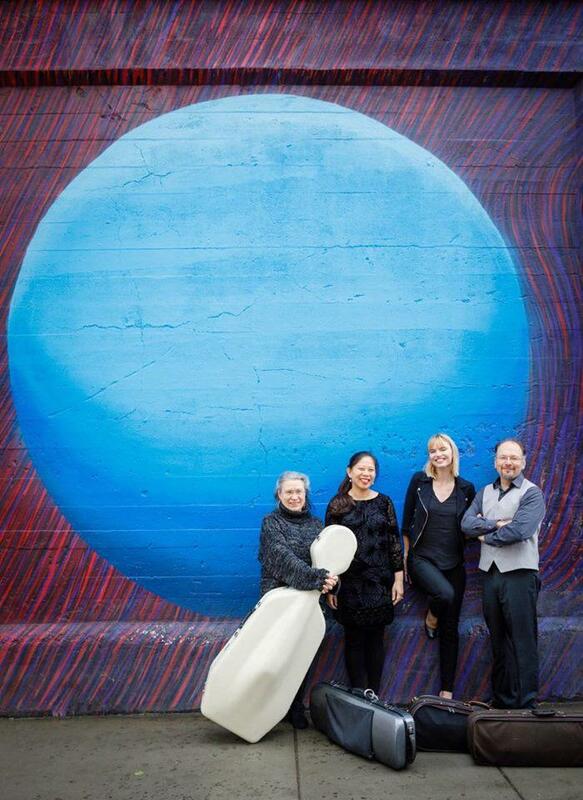 Repertoire includes standard string quartet classics, contemporary works, and premieres by local composers. The Quartet is comprised of members of the Spokane Symphony. Mateusz Wolski (first violin) has served as concertmaster since the fall of 2007, having previously served as concertmaster of the Annapolis Symphony. Amanda Howard-Phillips (second violin) joined the Symphony in 2003 and has been with the Quartet since 2011. Jeannette Wee-Yang (viola) started her journey with the violin in Singapore before immigrating to Vancouver, B.C. at age 8. 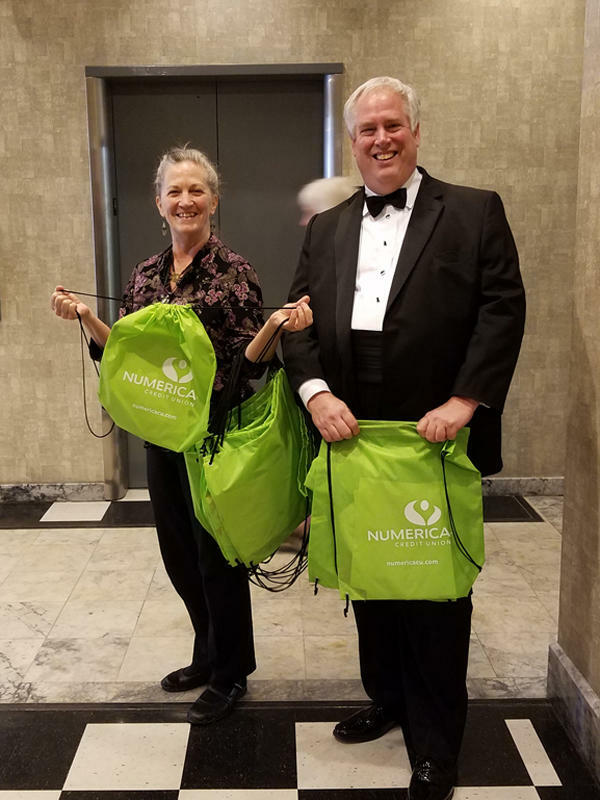 She has taught viola at Whitworth University and Carroll College in Wisconcin, and she is the assistant principal violinist for the Symphony. Helen Byrne (cello) joined the Symphony in 1982 and is the assistant principal cellist. A Spokane native, she got her degree from Northwestern University. KPBX Kids' Concerts are free thanks in part to event donors Harvard Park Children's Learning Center North, Numerica Credit Union, Pool World, and Rocket Bakeries. Thanks also to Hearn Brothers Printing, John Benham and the staff of Riverside Place, as well as the members and volunteers of SPR. Street parking is available at the meters along Main St. and the surrounding area. Riverside Place does offer event goers free parking at the Diamond Parking lot at 1193 W Main Ave down the hill. The elevators can be accessed using the Main St. entrance. The Commandery Room is on the fourth floor.